LEXINGTON, Ky. (Feb. 6, 2019) — Patience and persistence can indeed pay dividends. 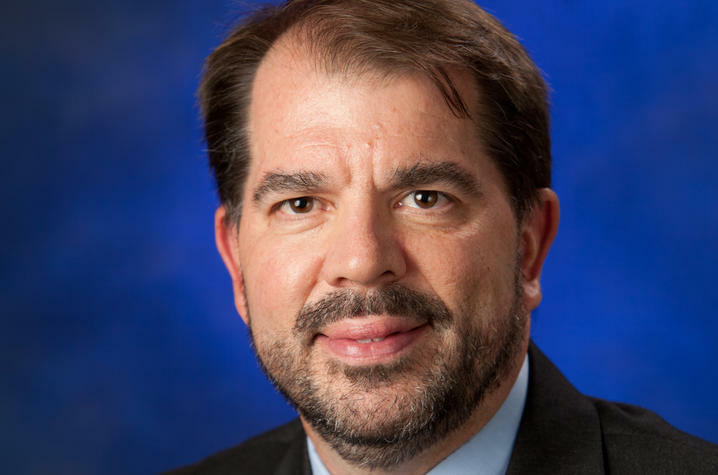 Just ask University of Kentucky faculty member and administrator Ken Troske, the associate dean for graduate programs and outreach in the Gatton College of Business and Economics and Richard W. and Janis H. Furst Endowed Chair of Economics. Troske, who has served on a number of key panels advising members of the U.S. Congress over the years, was appointed to the Commission on Evidence-Based Policy by Senator Mitch McConnell in July 2016. The stated mission of the commission was to develop a strategy for increasing the availability and use of data in order to build evidence about government programs, while protecting privacy and confidentiality. The commission submitted its final report to Congress and the president in the fall of 2017. Subsequently, people involved with the Bipartisan Policy Commission (BPC) worked hard to pass legislation based on the recommendations of the report. Toward the end of December 2018, both the Senate and the House passed the Foundations for Evidence-Based Policymaking Act, and President Donald Trump signed the legislation into law earlier this year. The law implements 11 of the 22 recommendations made by the commission, while efforts continue to enact more of the recommendations in the near future. Troske is in his 14th year at the University of Kentucky.